Just last week, the world lost an icon, leader, and civil rights trailblazer. Nelson Mandela, former President of South Africa departed after 95 years of an amazing life. Among working for peace in his home nation and taking on challenges unthinkable to most, Nelson Mandela did so much more. 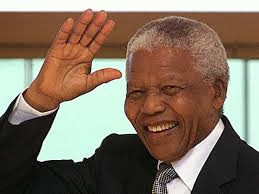 Africa's largest stadium is holding a memorial service for this dignitary--almost as we speak--to honor the life of such an amazing, humble person so critical to our human race. These words were ones he spoke; ones we should take with us in all our actions, every day. 1. "Education is the most powerful weapon which you can use to change the world." 2. "Courage is not the absence of fear, but the triumph over it. The brave man is not he who does not feel afraid, but he who conquers that fear." 3. "It always seems impossible until its done." 4. "I like friends who have independent minds because they tend to make you see problems from all angles." 5. "For to be free is not merely to cast off one's chains, but to live in a way that respects and enhances the freedom of others." 6. "A good head and a good heart are always a formidable combination." 7. "Everyone can rise above their circumstances and achieve success if they are dedicated to and passionate about what they do." 8. "Difficulties break some men but make others. No axe is sharp enough to cut the soul of a sinner who keeps on trying, one armed with the hope that he will rise even in the end." 9. "Resentment is like drinking poison and then hoping it will kill your enemies." 10. "I hate race discrimination most intensely and in all its manifestations. I have fought it all during my life; I fight it now, and will do so until the end of my days." 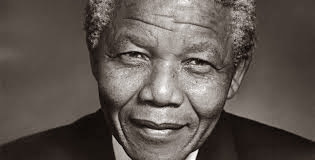 Thank you President Mandela, for your fearlessness, and the irreplaceable mark you left on our world. We will remember and honor you forever.